Portgordon is an old fishing village just to the east of the mouth of the River Spey in Moray, northern Scotland. Established in the late 16th Century, by the Second World War it had silted up and the harbour is now only home to a few leisure craft. I have made a few changes to this view, returning a couple of buildings to a former state (as far as I can!) 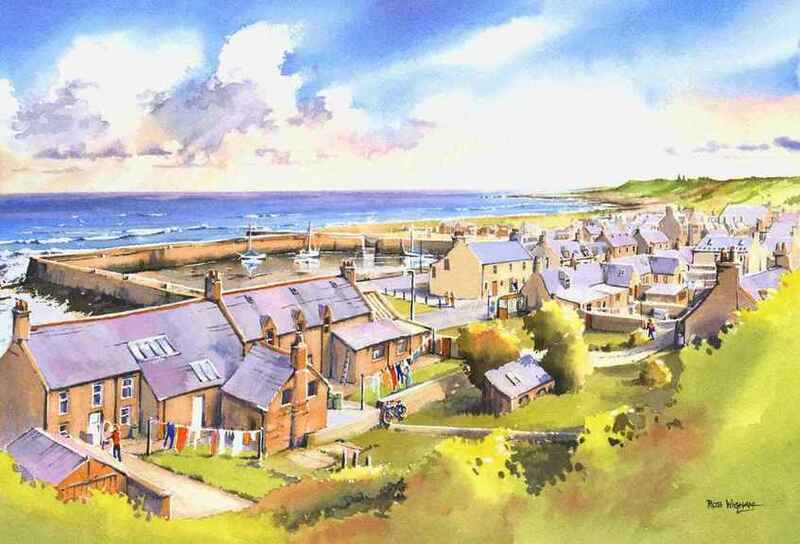 but it's still Portgordon as viewed from the old railway embankment!